We will accept most any item we sell as a return for credit less shipping costs and a 15% restock fee within 30 days of receiving the product(s), except specially fabricated and special order items listed below. Electronic devices are non-returnable. After 30 days, the product's manufacturer becomes responsible within the limitations of their specific warranties. You are responsible for shipping charges back to us. Please read the full explanation below for exceptions and conditions. All returned items must have an RMA number (Return Merchandise Authorization). Mark the RMA number clearly on the outside of the package or on the shipping label. To receive an RMA number please complete our online Contact Form found here or call us at 800-355-2335. Ship to: Hoover Fence Co., Att: Returns, 4521 Warren Rd., Newton Falls, OH. 44444. Orders that are refused at time of delivery where a shipping expense has been incurred by us, will be subject to no refund of the shipping charge to you and an additional charge for the shipping fee back to us. If for any reason you feel that a shipment is not acceptable, call us immediately at 800-355-2335. In cases of damaged merchandise these shipping charges will be waived, if a successful claim can be filed against the shipper with your assistance. 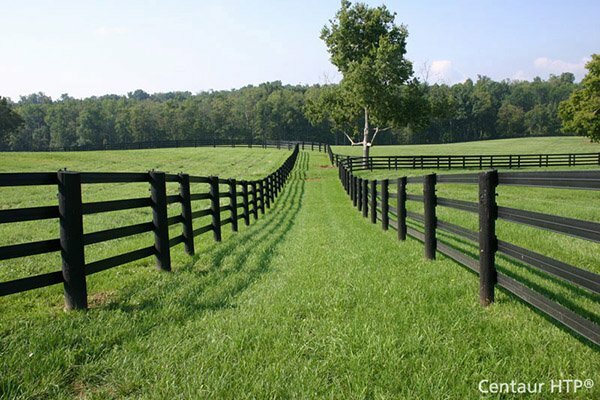 Hoover Fence Co. strives to be accurate in depicting all products featured on our website. Specifications are subject to change due to manufacturer's changes. If specifications must be perfectly accurate and up-to-date, please inquire about current specifications before ordering your product.